In addition to the “Touchdown for Autism” campaign, Panera Bread will be collecting funds in all thirty-one (31) bakery-café locations through their Operation Doughnation boxes located next to the registers at each café. Operation Doughnation boxes will give Panera Bread customers an opportunity to further support The Dan Marino Foundation every time they visit a Panera Bread bakery-café across Broward and Palm Beach Counties now through May 31, 2018. 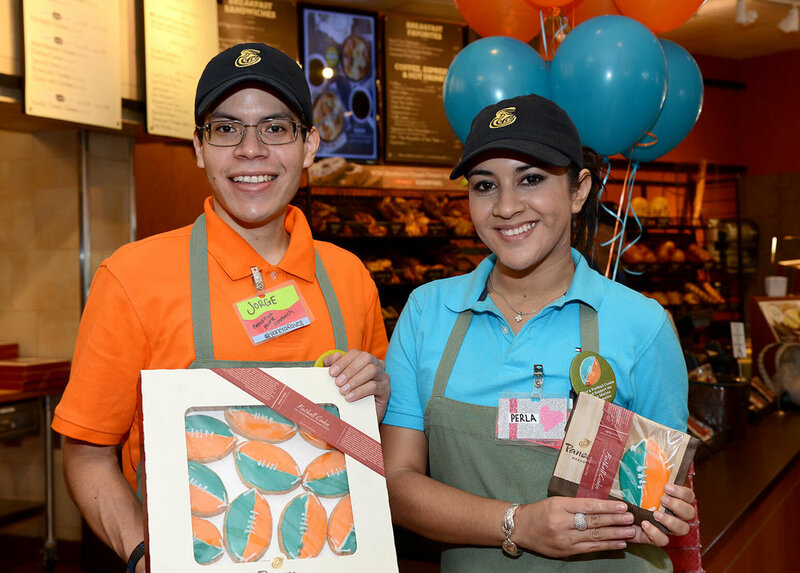 What: Panera Bread will kick-off the 8th Annual “Touchdown for Autism” Marino Cookie campaign with an event held at the Panera Bread bakery-café located at the Southport Shopping Center in Fort Lauderdale. Who: At this exclusive event Panera Bread Customers can register to win a Dan Marino Autographed Football, as well as meet members of the Y100 Street Team. They will also have the opportunity to meet students from The Dan Marino Foundation’s nationally recognized certification Hospitality and Computer Programs and Dan Marino, Pro-Football Hall of Fame Miami Dolphins Quarterback who will be in attendance to help kick-off National Autism Awareness Month and help raise much needed funds for autism programs. When: This exciting and unique event will take place on Thursday, March 29, 2018 from 11am-1pm.